Christian Ministry Agape is always more than happy to welcome guests. Many missionaries from different countries come to Ukraine not to only look at the way the orphans live, but to help them and become friends with them, tell them that even far away across the ocean there are people who know them and love them, but also about the One Who loves them more than anyone and knows all their problems, and it is God. You have a unique opportunity to be a part of orphan’s life. Christian Ministry Agape invites individuals from other countries to visit Ukrainian orphans. You may come with a group or individually. The work of Agape mission is not limited by Bible lessons along. 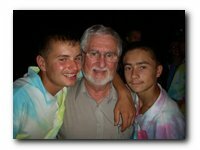 Every year during Summer vacation Agape mission organizes Summer camps for orphans; missionaries from other countries come to visit children as well as christians from different churches. It's THE highlight of the year in any child’s life. During this time, Agape offers summer camps for many Ukrainian orphans along with special activities in the orphanages for the children who are unable to attend summer camps. Ukrainian, American, and Canadian volunteers have been working with children for several years in a row now. Summer activities allow us to communicate with these children on a different level and to show them the advantages of Christian life in practice. It is during this period orphans are most likely to change under the influence of good christian friends. Sports, swimming, and camp fires are a unique opportunity for everyone to bond in a relaxed atmosphere. Children are more likely to approach Agape volunteers with their problems. Lena, an eighth-grader, shares her experience after one of such summer programs with us: "Thanks to the lessons during my summer camp, I now know that I have eternal life and I don't need to be afraid of anything because I have a Heavenly Father whom I can trust completely. He will take care of me as a father would because I don’t have a mom or a dad. Now I know that everything is going to be alright." 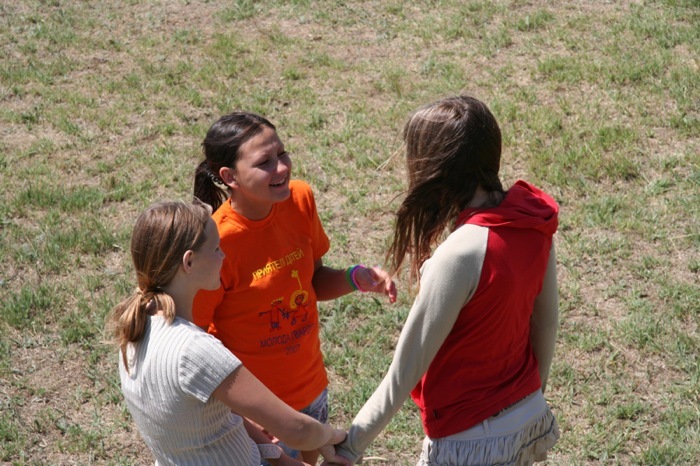 As missionary you can come to Ukraine and help Agape mission during the Summer camp. We also hold daily “Life Lessons” about basic life skills such as: relationships between boys and girls, family life, financial planning along with preaching the Word of God. Young missionaries from other countries have been very helpful during preparation and summer activities. They have especially provided enticing programs which kids love. Talent shows, group contests, skits, and crafts are favorites among children. Missionaries do a big work helping Agape team during Summer Camps. It is also very special for the orphans to realize that the missionaries had traveled halfway around the world, spent their own money and time, just to be with them. These children have been abandoned by their family but strangers travel from afar to bring them hope and love. These summer activities provide lifetime memories for the orphans. Usually we have Summer Camps in June. 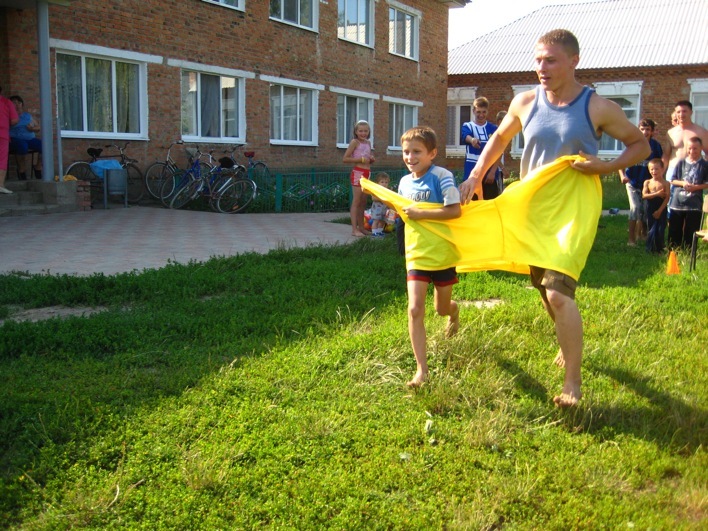 The uniqueness of these Summer camps is that you can freely share Gospel of Jesus, forgiveness of sins and God's love with the children during such summer activities. These children have already been introduced to God and learned the Word of God during Bible lessons through our ministry; their minds hearts are open to receive the Gospel. If you would like to travel from US or Canada or other country to serve Ukrainian orphans together with Agape mission please contact Nelly, Ministry Agape representative in Sacramento, CA. You will find her contact information below. She will be glad to answer all of your questions. Christian Ministry Agape provides a unique opportunity to visit orphans right in the orphanages. You can come and serve orphans directly in the orphanage. Ministry Agape has been working relentlessly over the last several years in more than 34 federal orphanages. 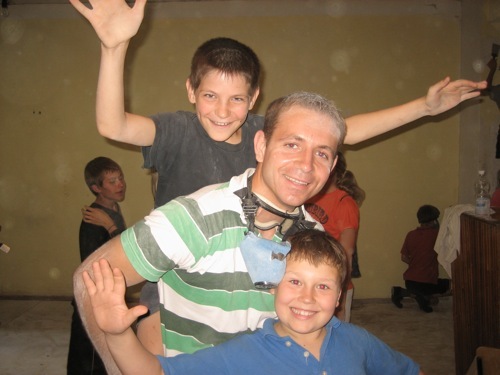 Because of the positive impact Ministry Agape has had on orphans, some multiple orphanage managements allow Ukrainian and foreign missionaries to live week or more in the orphanages. You will have an opportunity to live under the same roof as these children, eat the same food, and be a part of their lives, to see their great need in love of God and in our love. Here is an example of a schedule of a given missionary trip (based on our experience). A group of missionaries come to Ukraine, Kherson. If a large missionary group is expected, it will be broken down into smaller groups of 7-8 individuals. Each smaller group is then assigned to an orphanage and arrives there. Extend of stay at a particular orphanage is one week. Groups can switch their locations at the end of the week or stay at the same orphanage if desired. As a ministry volunteer, you will be expected to do some chores; painting interior or exterior of the orphanage facility, for example. Chores are usually done in the morning and afternoon and evening are open for different activities with kids (missionaries prepare interesting entertainment shows, competitions, games and fellowship with children). Children love to see missionaries helping around the orphanage. It’s a good example of positive attitude and mentorship for them. Ukrainian orphans need a lot of love and attention. During long summer months, however, they may just need some fun and friendship. Please consider this opportunity to make a difference in an orphan’s life! Please click on the following links to read some feedback from previous Agape volunteers. Youth of USA and Canada visited Ukrainian orphans and missionary from USA stayed in Ukrainian Orphanage for One Week. If you have a desire to minister in Ukraine for a prolonged period of time (1+ years), please contact our ministry and we will be glad to discuss this. Tel in USA: 1(916) 358 9481. We thank God for everyone who is willing to contributed time, finances, and comfort to minister to orphans. We constantly ask God to send more missionaries to work with these special children. Become a change in an orphan’s life! These children need you! Some of the children shared heart-wrenching stories of their past; others did not. The main need of these children is salvation and Jesus Christ.